We decided to fly home for Christmas rather than drive, a decision we may do differently in the future. 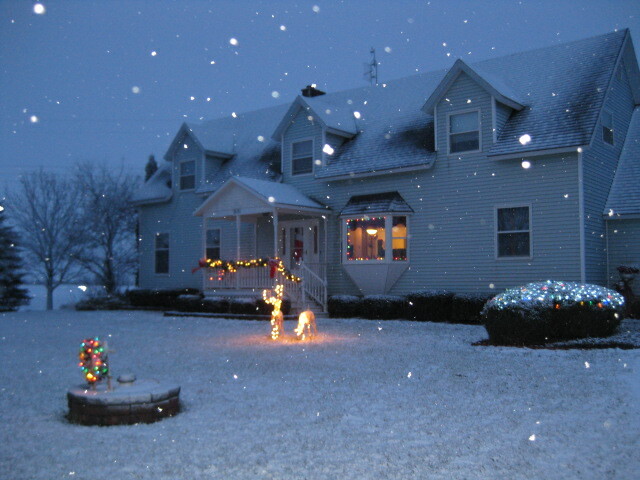 It was a bad Christmas for snow in Michigan, but we did get some snow the day after Christmas. Regardless we had a great time seeing family and friends. Once we returned to Mississippi we had dinner with Sandra and the grandkids and headed for Gulf State Park in Gulf Shores, AL. 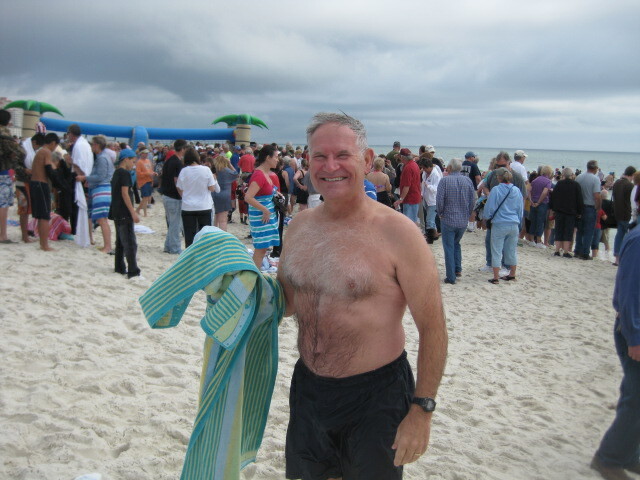 Once we were back at Gulf State Park, we discovered that there was a “Polar Bear” swim the next afternoon on New Year’s Day. Bob figured this was MUCH easier than doing one in Michigan (where they cut holes in the ice to do it) and decided to go for it. The water was plenty cold, but you didn’t have to push the ice out of the way to be a Polar Bear in Alabama. Gulf State Park is a great place to camp. 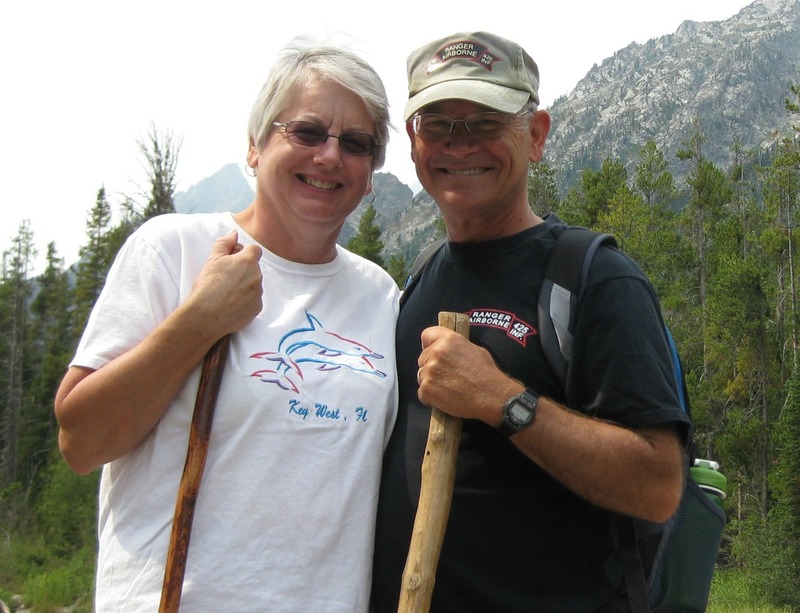 From November through March there is no limit on the number of days you can stay, so this is a favored place for snowbirds and full-timers. The park is adjacent to a series of 11 miles of biking/running/walking trails established and maintained through a partnership between the City of Orange Beach and Gulf State Park. 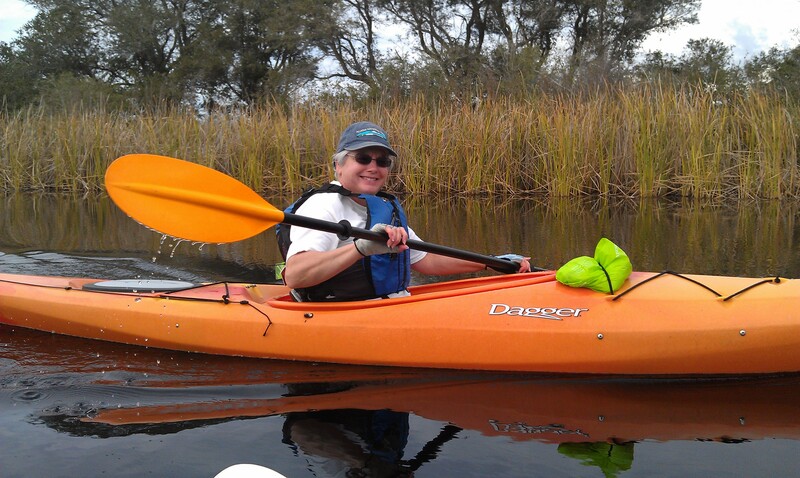 There is kayaking and bird watching on Middle and Shelby Lakes. And this is only in the campground area. Gulf State Park maintains 3.5 miles of beach along the Gulf of Mexico with pavilions and piers. 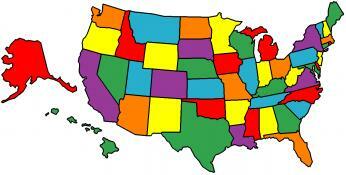 For those for whom camping is not the priority there are also cabins and a golf course. With our friends, Roger and Darcy, we visited the USS Alabama Memorial. This is not only an educational experience, but an inspiring one. 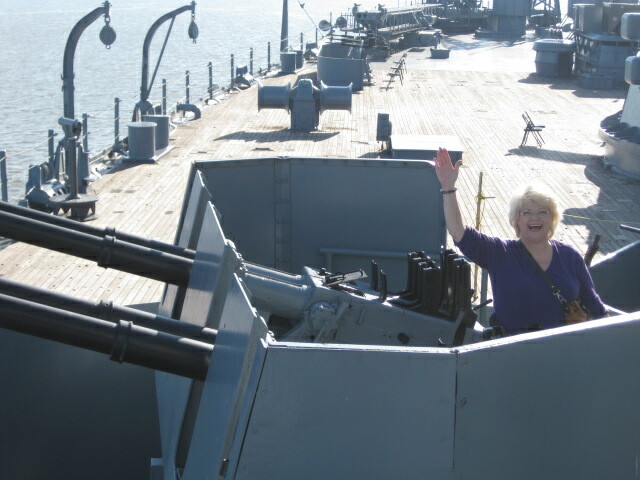 You can tour the USS Alabama, a WW II battleship, go on board the USS Drum, a WW II fleet submarine, and see aircraft and military vehicles of all kinds, including a B-52 bomber. One of the things that Bob found interesting is that they have set aside some of the rooms in the USS Alabama to recognize other warships that were not preserved, such as the cruiser, USS Mobile. 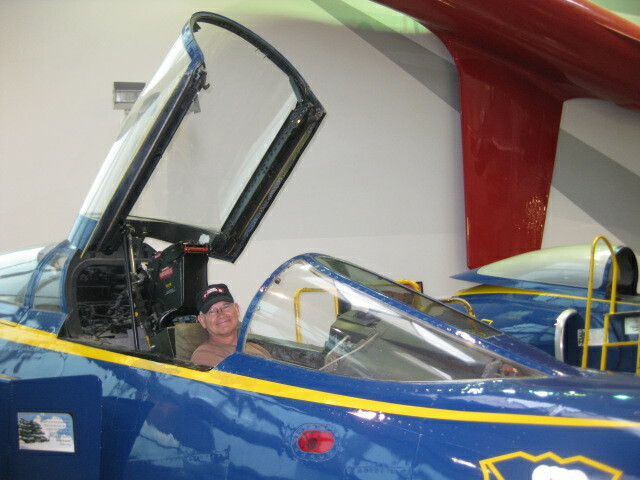 Tuesday, 1/10/12, was not forecast to be a pleasant day so we decided to drive over to Pensacola to visit the National Naval Aviation Museum at the Naval Air Station and do grocery shopping at the commissary. 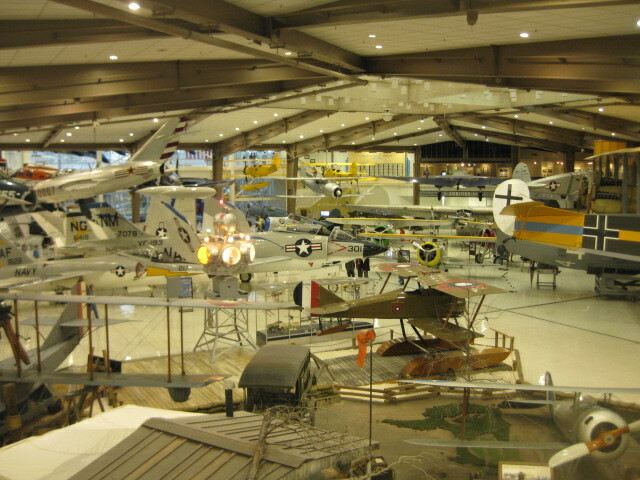 For anyone who is into aviation history, the museum is a “must do” event. It chronicles aviation from pre-WWI to the present. They have built a replica of a WWII carrier flight deck, have the actual seaplane that made the first crossing of the Atlantic Ocean, and flight simulators so you can “fly” a plane or helicopter. The restoration work they have done on these aircraft is amazing. For example they restored a Korean War Banshee that had been a playground attraction, filled with concrete, to an appearance that looked like it had just rolled off the assembly line! 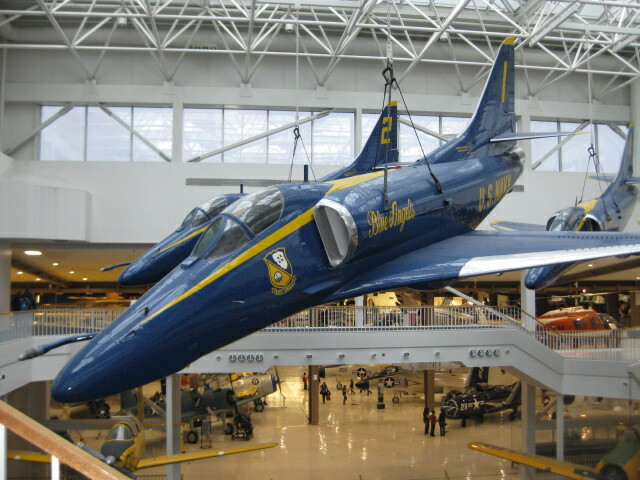 The Navy’s Blue Angels are based at Pensacola and you can watch them practice their stunts from the museum. While they were not practicing on this trip, we were able to watch them on a previous visit and it is a sight to see! 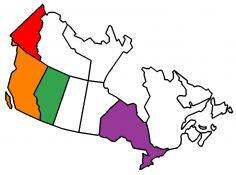 There is so much to see in the area. Thursday Bob drove out to Fort Morgan on the entrance to Mobile Bay. 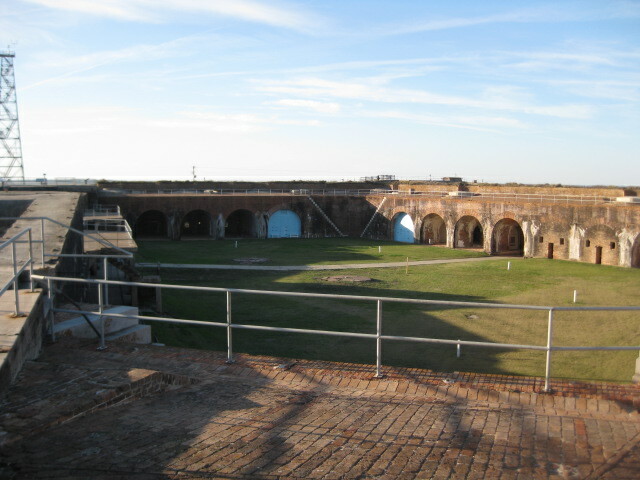 Fort Morgan was in operation from 1834 until 1946. It was during the Civil War during the Battle of Mobile Bay while trying to get past the Confederate held Fort Morgan, that Federal Admiral David Farragut reportedly said, “Damn the torpedoes, full speed ahead!” Fort Morgan is not close to any built up area and there is plenty of wildlife in the facility. 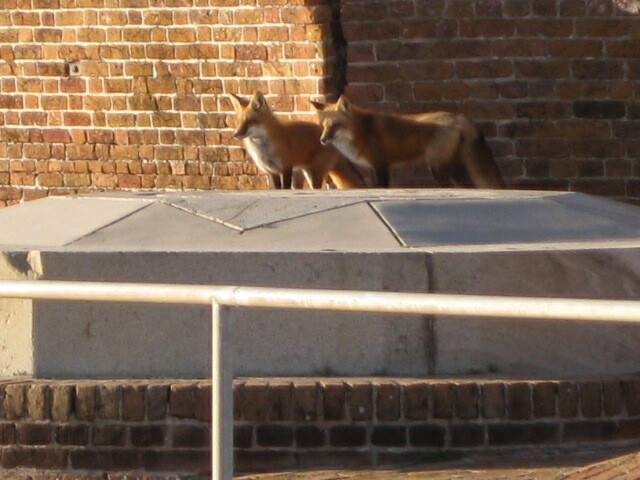 Most people focus on the birds in the area, Bob spotted a pair of red fox while walking on the parapet of the fort. 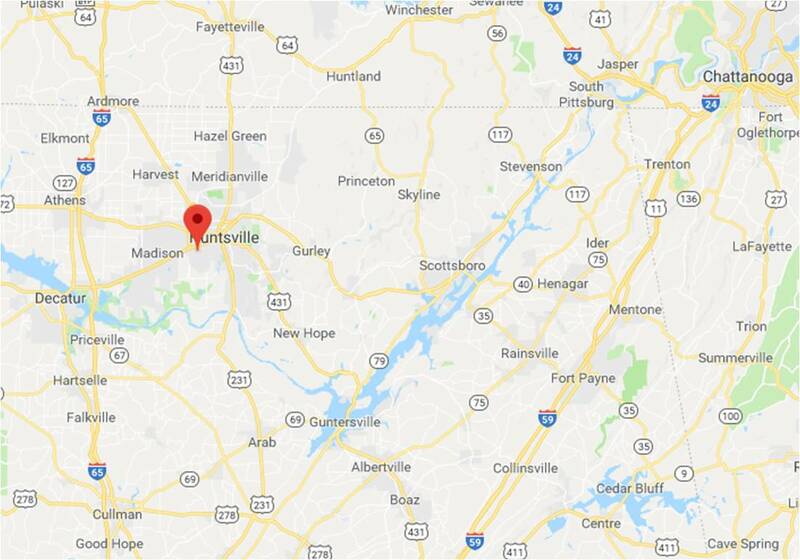 This entry was posted in Alabama, Fulltime RV, Holidays, Michigan Traveler and tagged Bad Axe, Blue Angels, cycling, fifth wheel trailer, Fort Morgan, full-time RV, fulltime RV, Gulf State Park, Kayaking, National Naval Aviation Museum, RV Forums, USS Alabama. Bookmark the permalink.